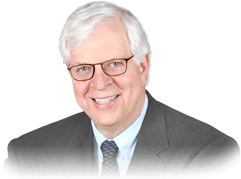 Access to a commercial free 30 day archive of The Dennis Prager Radio Show Podcast. A confidential communiqué that Allen (producer) sends to Dennis every night to suggest topics for the next day's show. Special talks and lectures that Dennis does throughout the year. Exclusive to Pragertopia: Enhance your Pragertopia membership with access to Dennis's best talks and lectures over the course of the year. Whatever one's faith is or political views are, you will enjoy and appreciate Dennis's own brand of opinion and insight. Feel like you are personally in the lecture hall while Dennis gives his own unique take on religion, politics and life. Per usual, callers set the agenda. Issues raised include: what’s your favorite Sinatra song; a challenge to your position on miracles; why do our schools teach barely anything about Mao; schools should use classical math education as a means for defense against Leftism; would you ever go skydiving with me? Easter and Passover fall on the same weekend this year. Dennis contemplates the positives to happiness of leading a religious life.